A hands-on approach to real estate law. 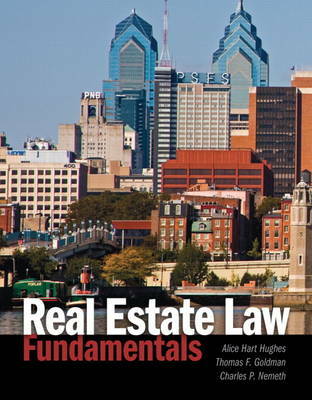 Real Estate Law Fundamentals, 1e, covers the processes, procedures, and legal concepts involved in real estate transactions using a practical, hands-on approach. Students are actively engaged in the material through video scenarios, sample forms, case studies, and practice exercises, and legal concepts are presented with practical examples to make them easier to grasp. Written as both a teaching text and as a professional reference manual, the text offers a well rounded approach that demystifies the often confusing world of real estate transactions.